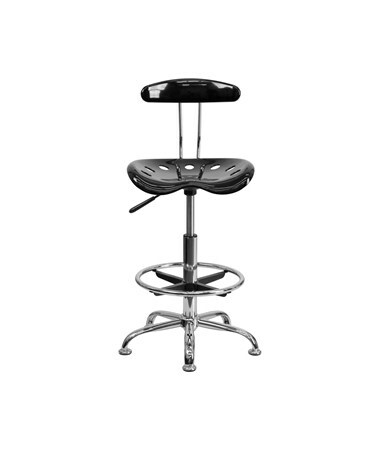 The Flash Furniture Chrome Drafting Chair has an individual, modern industrial style. 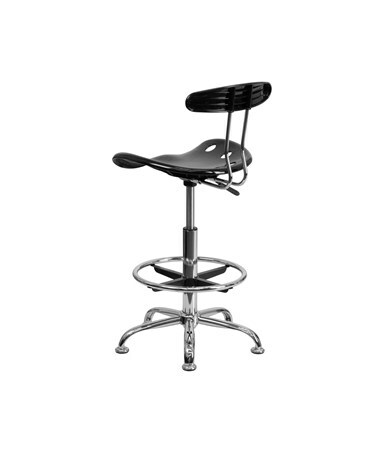 This adjustable chair is made of high-density molded polymer and chrome, and comes in a choice of 17 vibrant colors to suit any interior. This chair is black. 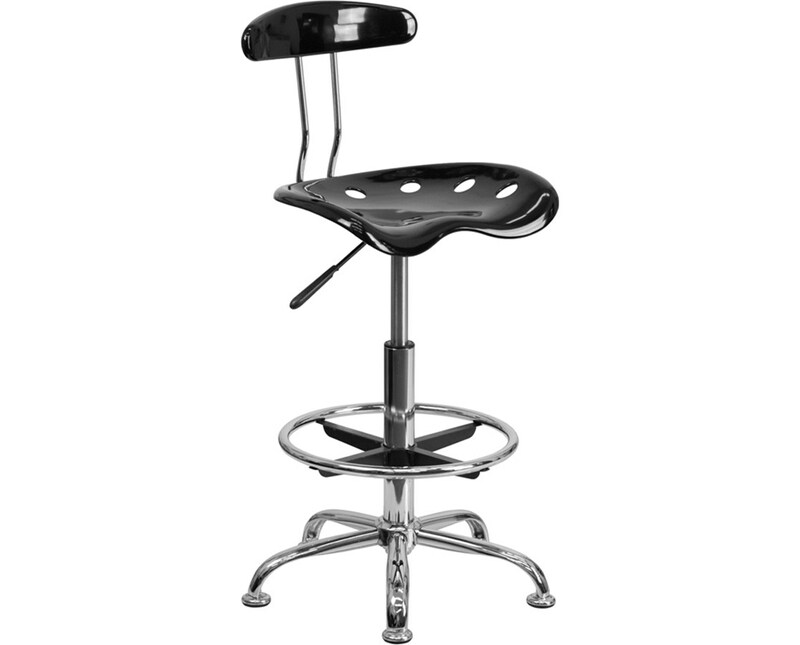 Seat height is adjustable from 22¾ to 31¼ inches with pneumatic height control. 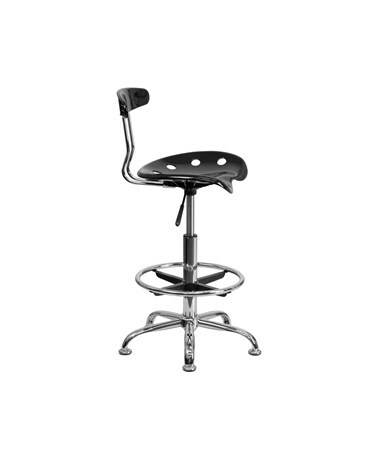 The back rest measures 14 inches wide and 10½ inches high, while the seat measures 17 inches long and 15 inches wide. 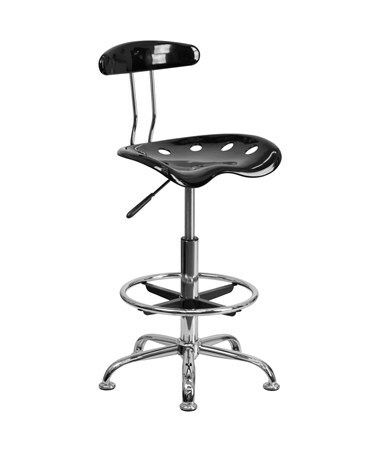 The base of this drafting chair has a 5-prong base with static floor glides and a height-adjustable chrome foot ring. Assembly is required.